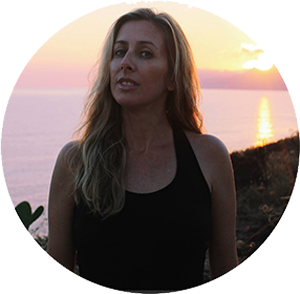 Holidays can be so very stressful for so many reasons. They seem to always sneak up on me and I wonder how fast the time went by! 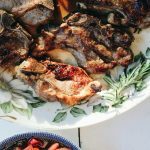 But all through the year, I find recipes I want to try during this special time of year. 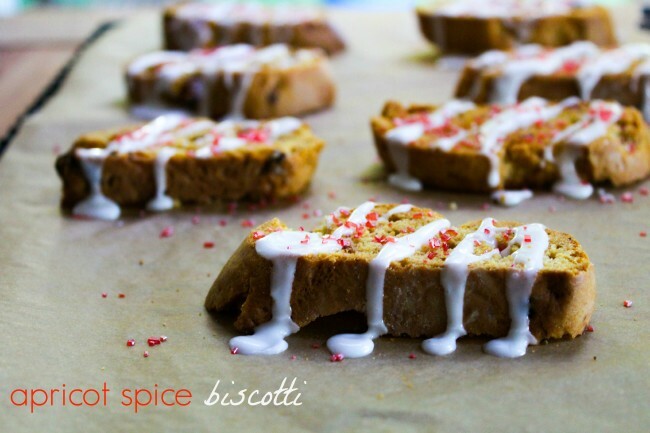 These apricot spice biscotti are something we love to bake even when it is not Christmas! Biscotti are the perfect way to start your day with your hot cup of coffee, tea, or as I prefer, a cappuccino! They are also so lovely to dunk into a hot cup of cocoa on cold winter’s day. Let’s talk biscotti and what does the word mean? Biscotto in Italian means twice cooked (bis: twice, cotto: cooked, past participle of coucere, ‘to cook’). Have biscotti always intimidated you a little? They really are super easy to make and the flavor combos are endless! After you bake them the first time, you let them cool. Next step is to slice them and bake again: biscotti (twice baked!). 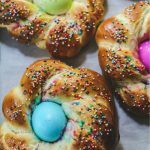 The incredible spice scent that will be coming out of your oven will have anyone waiting in your house lined up for the first taste (my kids, husband and the pups were all lined up). 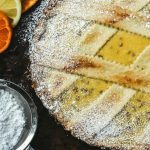 I used dried apricots in my biscotti, but dried cranberries would also be great with this recipe! Biscotti are so much fun to experiment with. Make sure there is a little flour on your clean surface. It will help you roll out your logs. These biscotti get better on the 2nd or 3rd day (if any are left!). 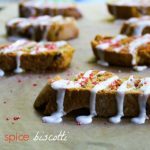 These spicy biscotti drizzled with a simple sugar glaze and a little sparkle make them a lovely holiday cookie to bake and share with those you love. 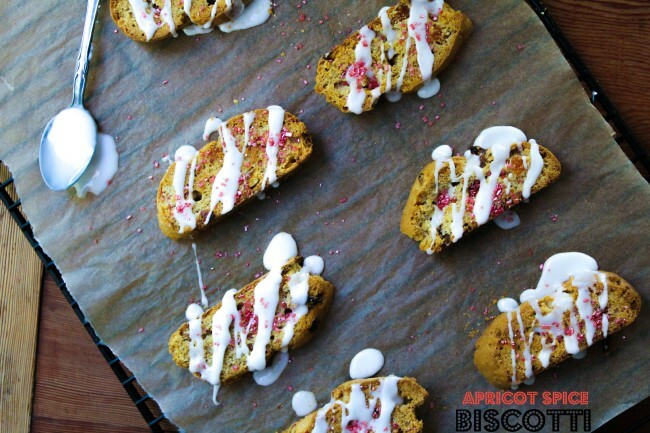 Apricot Spice Biscotti are made with sweet apricots and warm holiday spices. 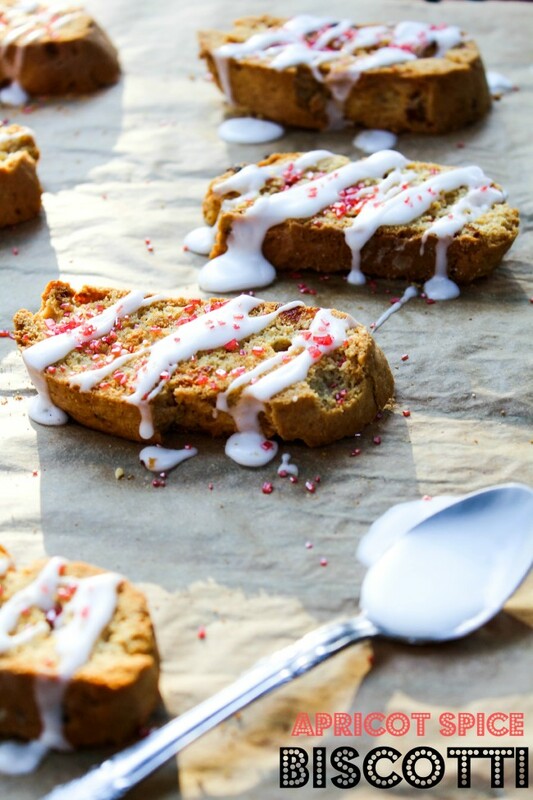 These biscotti will become your favorite treat to enjoy with your coffee any time of the day! In a large bowl, stir together flour, baking powder, salt, cinnamon, ginger, nutmeg. Stir into dry ingredients as well. 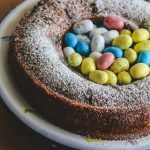 In a small bowl, whisk together the confectioners’ sugar and milk until it forms a thick but pourable glaze (if too thick add a little more milk a teaspoon at a time. If too thin, whisk in more confectioner’s sugar a tablespoon at a time). Drizzle on the cookies and toss on the sprinkles. Enjoy!